Finally played the Duo-Sonic models, and indeed, do not want, because of the neck. That "updated neck profile" is too chunky for a shortscale, and the satin finish on the back is gross The tint is fine however. And the surf green finish is really pretty (though not at all surf green). I'd get one and put a more traditional neck on it. I have heard that from someone else but I really love the new neck profile. It's not a baseball-bat neck but there is more meat to it. Fits my hand like a glove. Finally, each Offset model will be offered in a new color with upgraded pau ferro fretboards beginning Oct. 2. 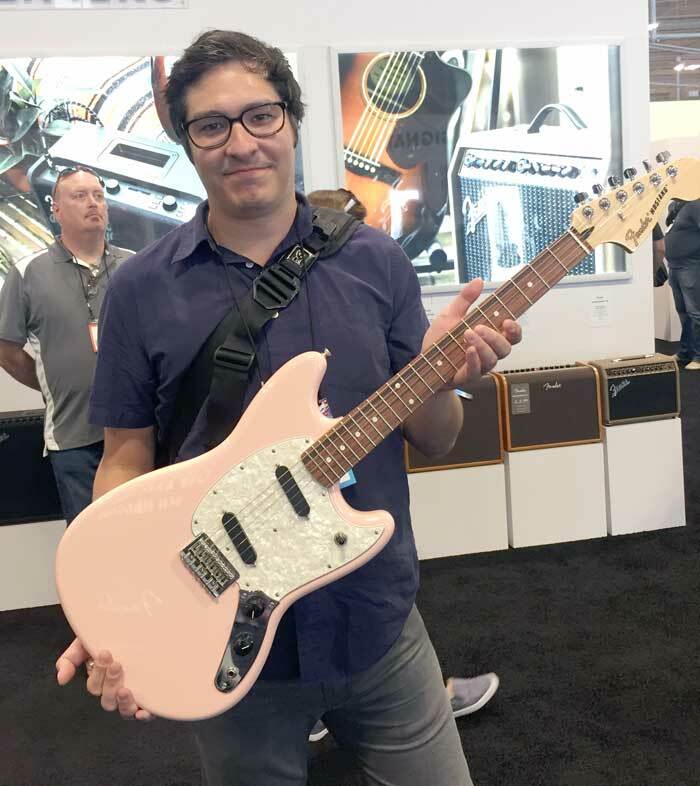 New offset colors include: Surf Green (Duo Sonic), Canary Diamond (Duo Sonic HS), vintage Fender color Shell Pink (Mustang), 2-Tone Sunburst (Mustang 90) and hugely popular Capri Orange (Mustang Bass). I was looking up weights on these, and the Mustangs are a pound heavier at least. Is the body that much bigger? I only see a slight difference at the waist angle. agreed...I'll probably need that in my life. Agreed, way overdue Shell Pank Stang is the best bod/finish combo in a good while. Zzounds dood with the goods. Curious if there's a story as to how light in hue that strain of Rosewood is amidst all the CITES beeswaz. It's not rosewood, it's pau ferro. I agree with what you are saying, but I compared a bunch of guitars on Sweetwater and also the bodies on Statosphere, not 2 or 3, but like 10 or 20 guitars. Plus they are all routed the same, those Mustangs are not routed for singles even if they do have them. I really like the Shell Pink and 2 tone burst Mustangs. I like the Capri Orange Mustang Bass also, but wish it had the old school split Mustang Bass pickup in it. Not a fan of the J+P hybrid look, although they do sound great.